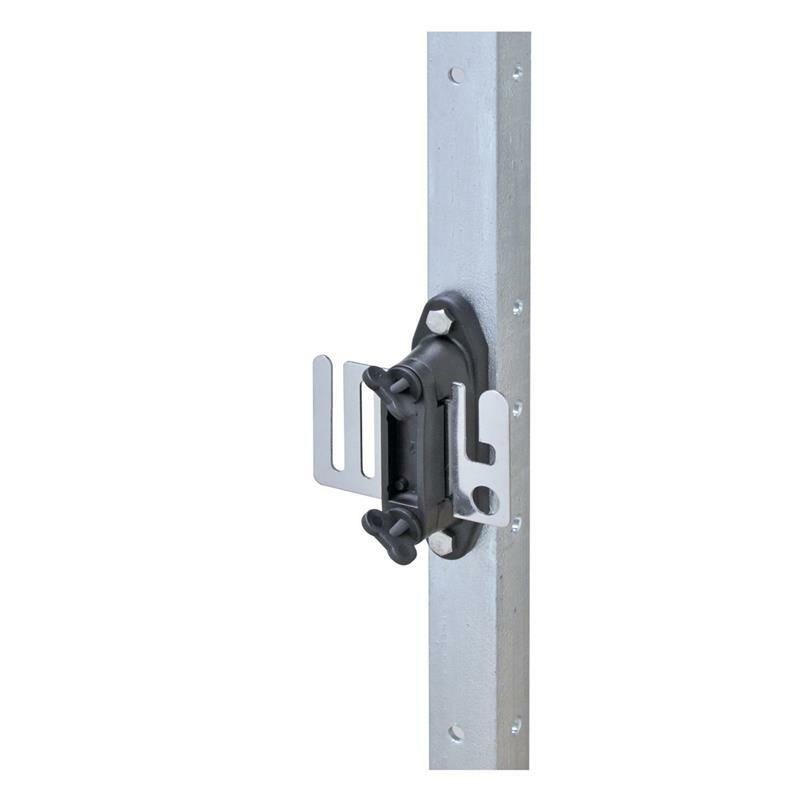 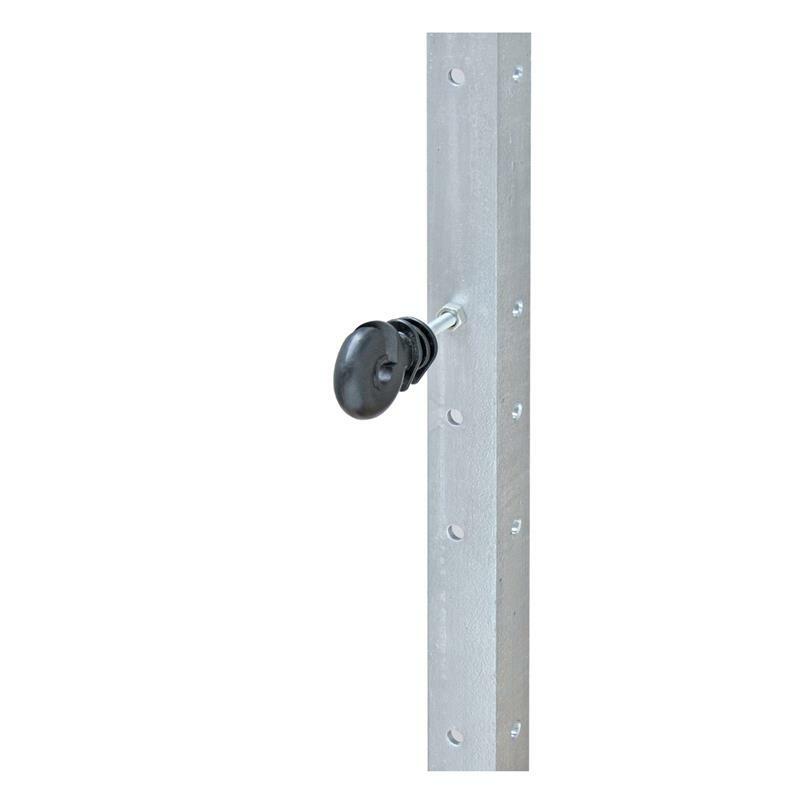 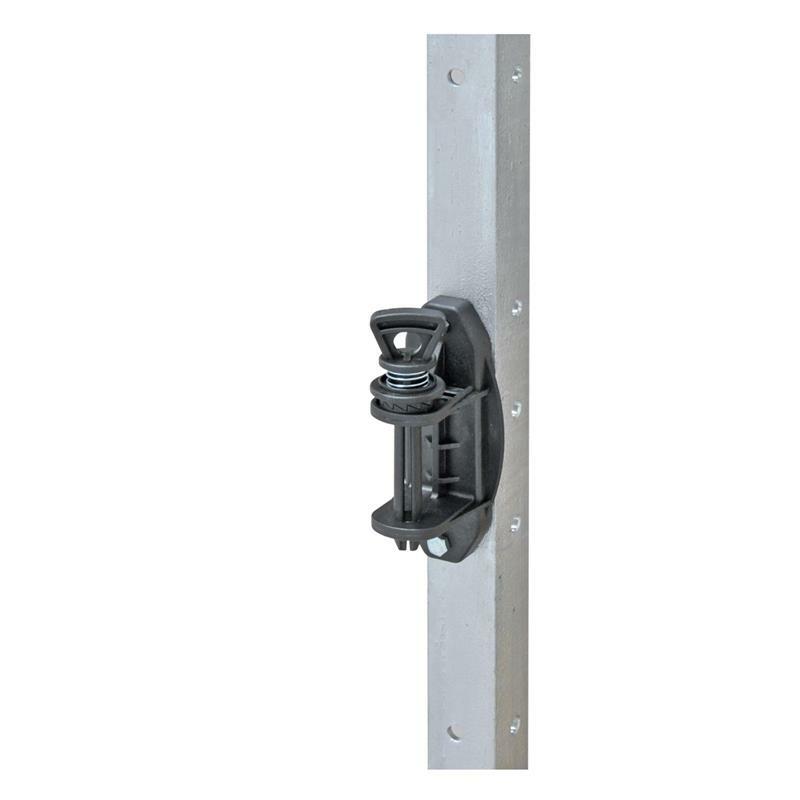 This practical metal post will find a welcome home on just about any electric fence. 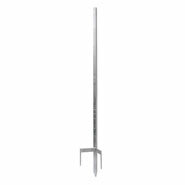 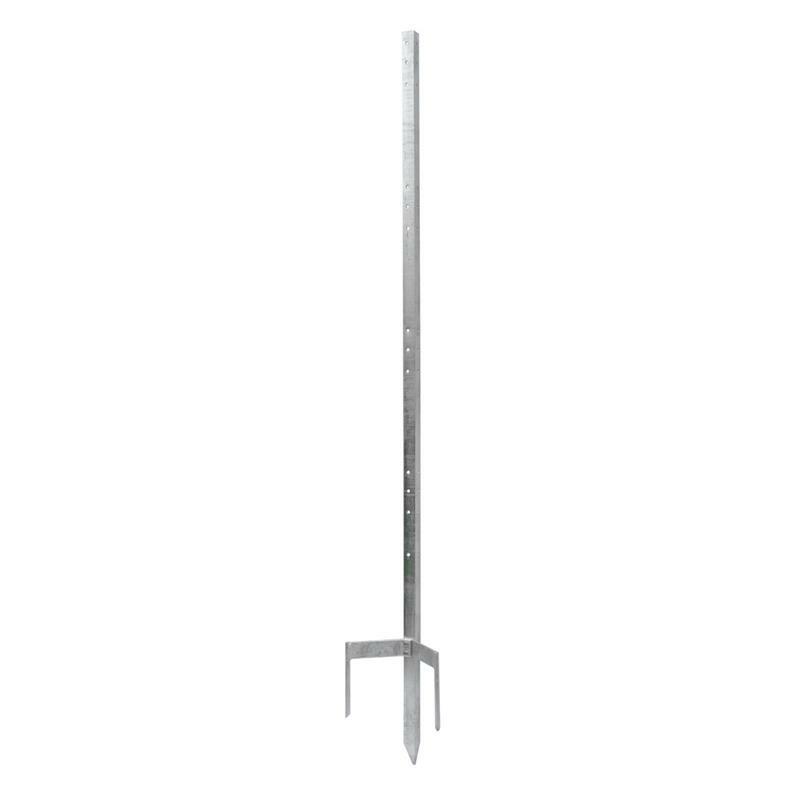 The "All-round metal post" from VOSS.farming is the right post for house, courtyard or garden. 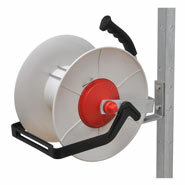 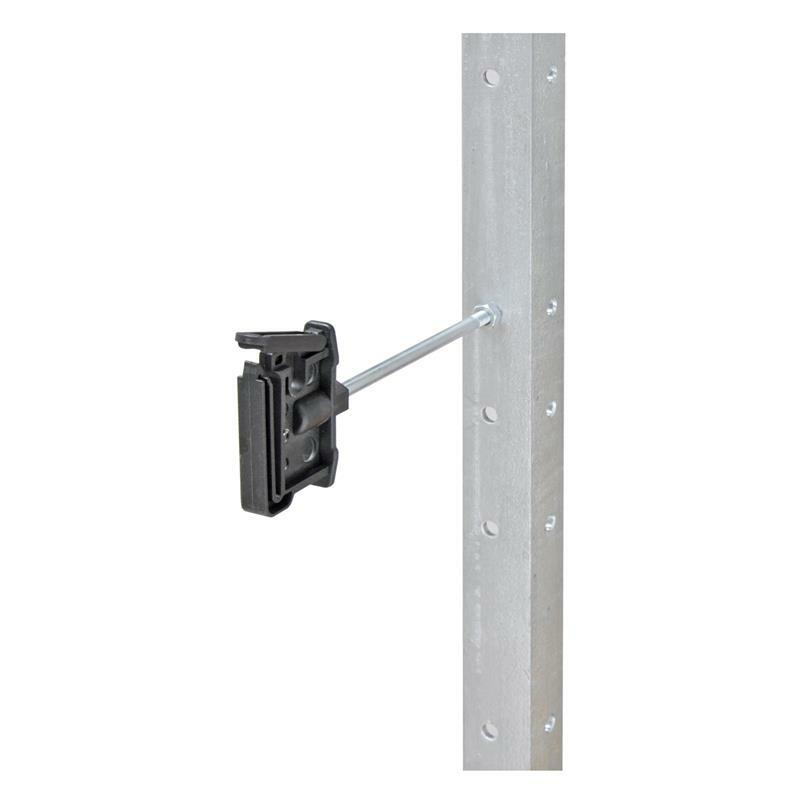 It offers you more options to fasten wires at different heights than any comparable post on the market. It's suitable for the start of the fence, as a corner post, a gatepost or a line post. 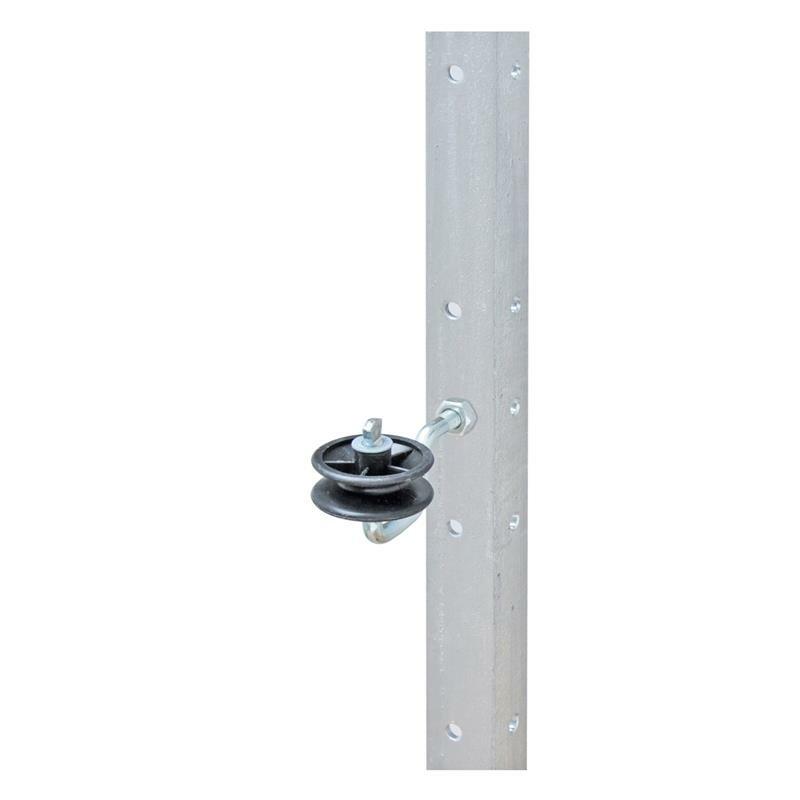 On top of this, the post can also be used as a winch post. 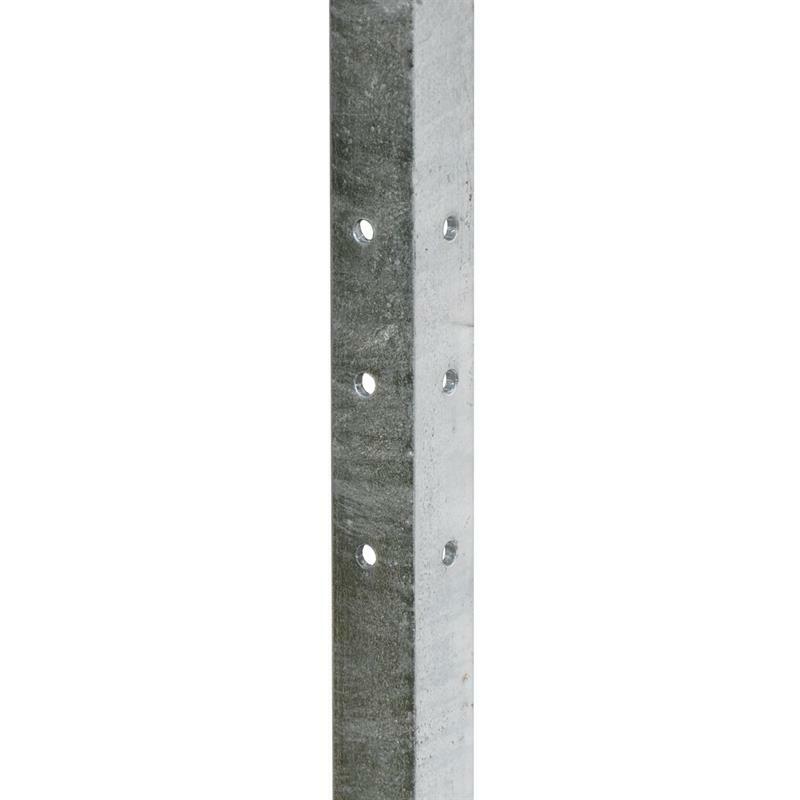 Thanks to its plentiful fastenings for insulators near ground level, the metal post is outstandingly suitable for all commonly used fence heights. 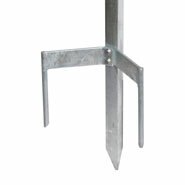 The three extra-long ground spikes guarantee excellent stability throughout the fence. The hot-dip galvanised metal of the electric fence post guarantees a long lifespan. 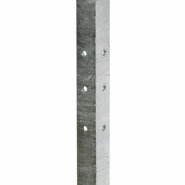 The VOSS.farming "All-round metal post" is also suitable for use as a winch post. With the aid of the VOSS.farming winch bracket (44296), you can fix up to 4 winces to the post. 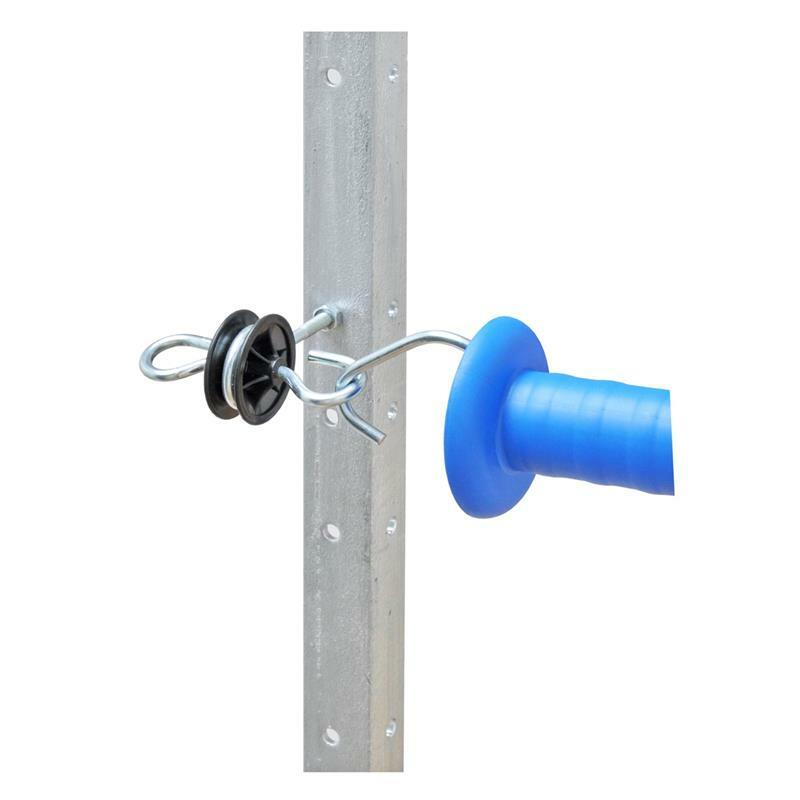 On top of this, it's suitable for all insulators with M6 threads and for items 44632, 44265, 44630 and 44656.
can be used very flexibly, with more wire-fastening options than any comparable post on the market. ideal for fence starting points, corners, gates, as a winch post or line post, etc.